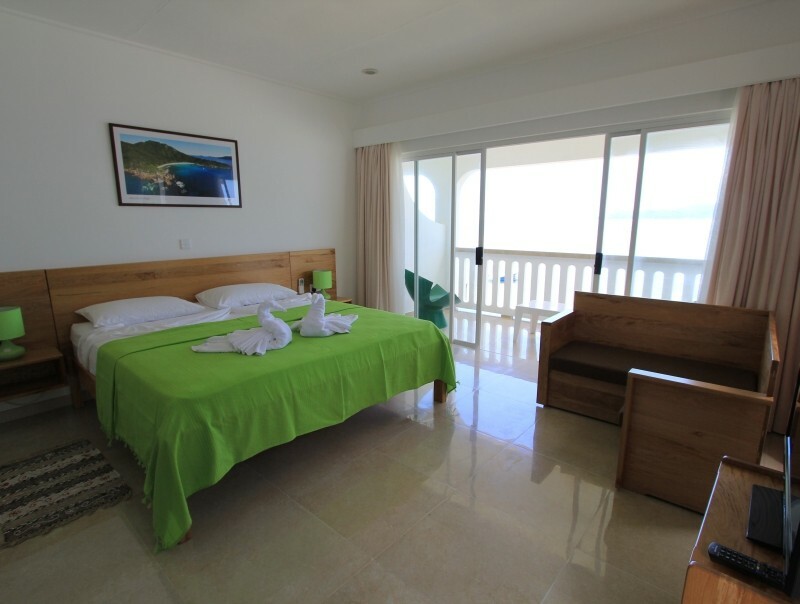 Conveniently set in prime location in La Digue Island, Seychelles is a newly build establishment called Marie-France Beach Front Apartments. This Beach Front Apartments establishment is managed and run as family business. 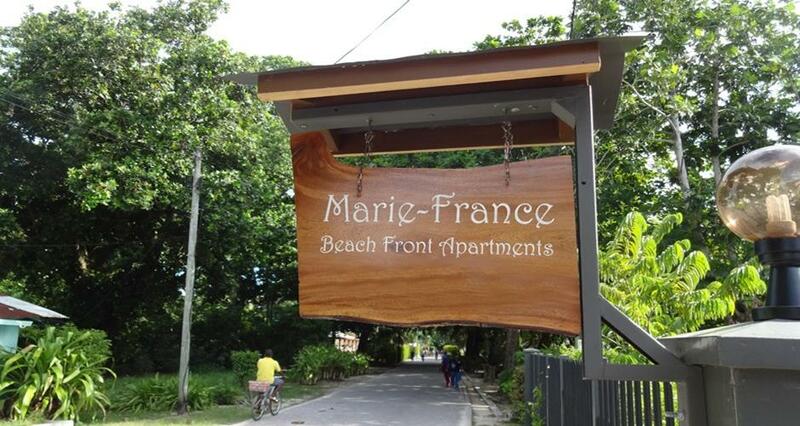 Marie-France Beach Front Apartments is just foot step away from the beach. 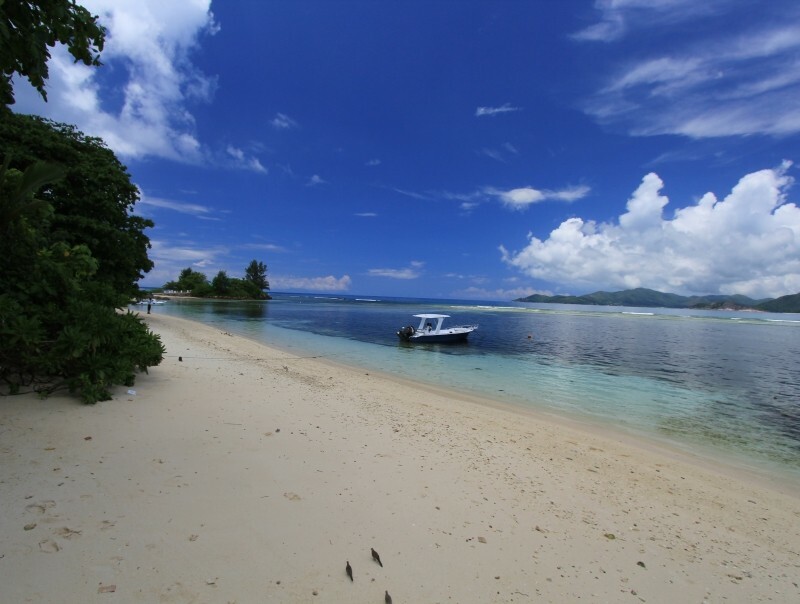 With the shallow seawater, the beach infront of the Apartment makes an ideal spot for kid’s own fun. 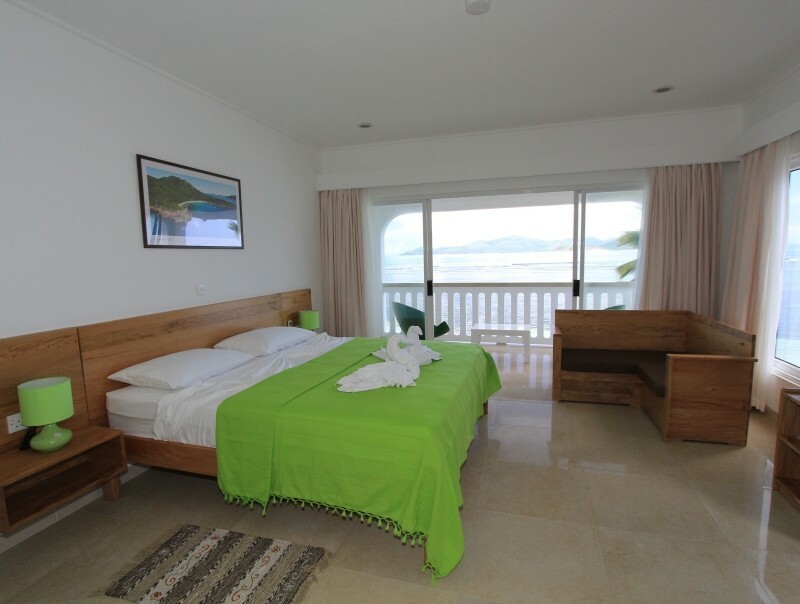 Guest can also enjoy the amazing view of Praslin and the Surrounding Island from your balcony. 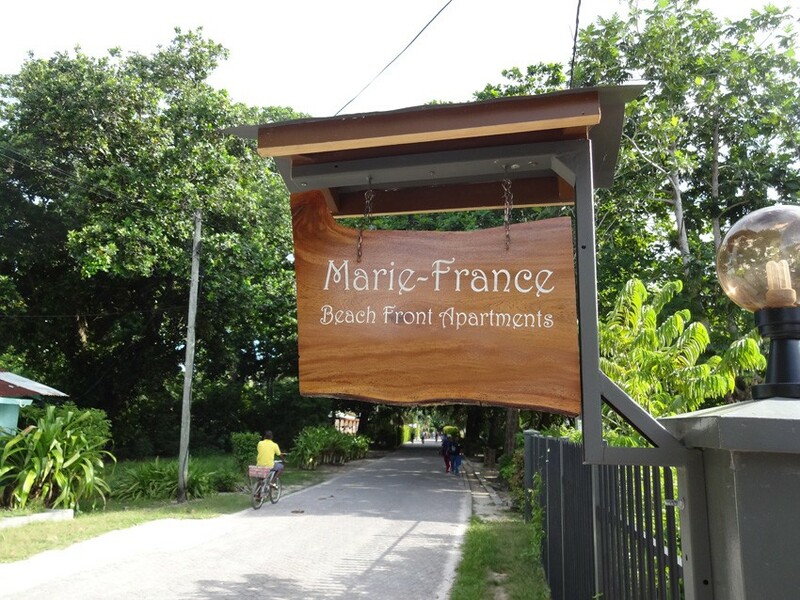 Here at Marie-France Beach Front Apartments nowhere is too far, guest can tour around by foot or by bike at their own leisure and pace. 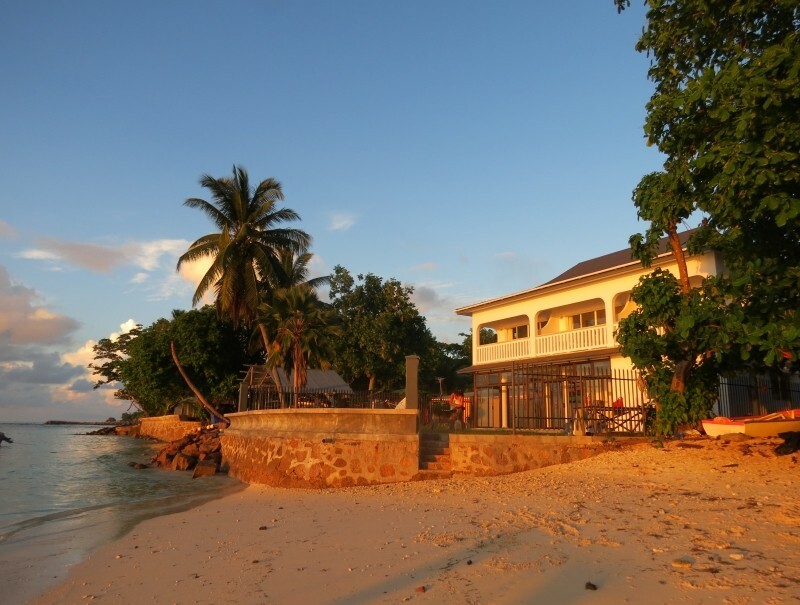 At Marie-France Beach Front Apartments a homely atmosphere awaits and promise to have a warm islander hospitality with friendly personalised service. Marie-France Beach Front Apartments is home to 3 well appointed Apartments fully furnished with modern design. 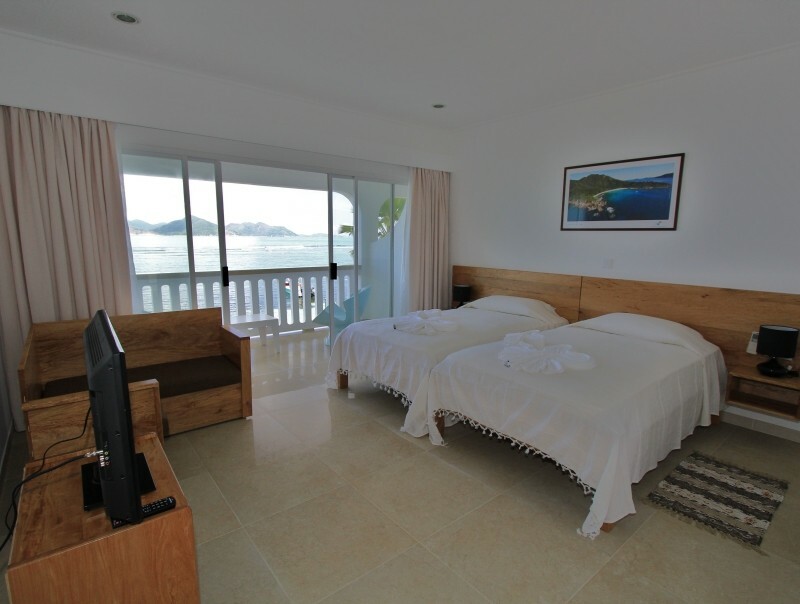 The Apartment is self catered with all you need for a holiday stay in Seychelles. The Apartments is located on the top floor of the building with a nice view over the Indian Ocean where sunset view is not to be missed. On the ground floor there is an in-house restaurant where breakfast is served. There is a chef available to prepare any homemade Seychellois dishes.